Alt-Chippendale radiates perfect harmony, and possesses the perfect proportions for which Thomas Chippendale's work was so famous. The almost old-fashioned attention to detail is one of the characteristics which mark the Alt-Chippendale. 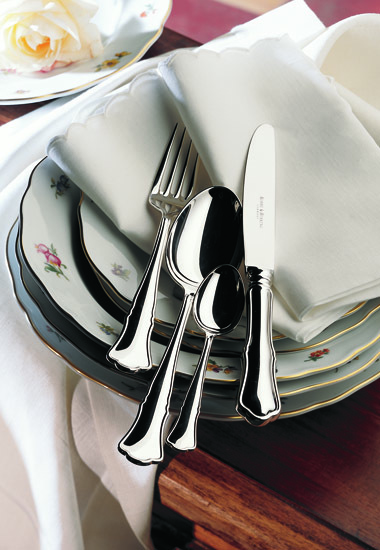 The striking semicircular-profile Chippendale thread encompasses both the front and rear sides of the cutlery items - a special feature only to be found on Robbe & Berking Alt-Chippendale.